Medisoft Office Hours Client Server supports more than one user and requires a separate advantage license. 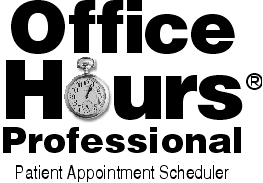 With an easy-to-use system like Medisoft Office Hours, doctors and medical staff members can easily track appointments, see which time slots are available, and create appointments efficiently. By improving your office’s administration system, doctors and staff members can focus on what matters: helping patients.